Home Smartphones VR Headset By Samsung Is Rumored to be Released in September. Codenamed “Project Moonlight”, Samsung is rumored to release this Virtual Reality headset in this coming September.This may be the version of Google’s own Cardboard and has the capability of turning any smartphone into a virtual world. From the Leaked images ,the VR Headset has an appearance that of goggles and appears to have a focus dial. It is not a big deal for Samsung to collaborate with OEM , this time too , in making of this headset . Based upon the leaked photo, there is a micro USB connector, a lid too which will hold the phone in place when it’s connected to the VR headset. 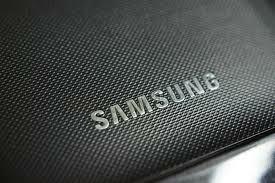 The press conference by Samsung is to be held on September 3. Based on their invitation, it will definitely be about the New Galaxy Note.